Now, as an API fanatic, I wanted to see how quickly I could build an API in Go that supports some RESTful ideas. 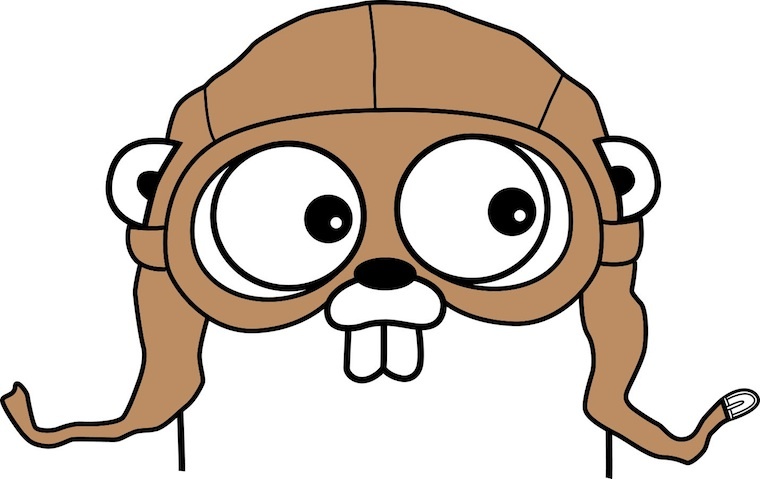 The thing I noticed quickly about Go is that the 3rd party package ecosystem is extremely young, and a lot of the packages are poorly documented compared to the well established world of Python. No matter, this would be a challenge! After setting up my Go environment and setting my $GOPATH I searched the web for some packages that would help me with HTTP routing and persistence. I discovered Gin, a microframework, that looked perfect for minimal HTTP APIs, and Gorp which is self labeled as an ORM-ish for Go. We’re importing Gin with the import statement. In the main() function we declare a new Gin app with the default settings. We add a simple GET route to / and link the index() function to it. We’ll be using all these things: the standard database/sql package, gorp, an easier sqlite3 library, and the log and time libraries. Finally, to turn strings into integers and back, we’ve included the strconv library. This will create a file called db.sqlite3 in the route of our project. Don’t run this yet, we need to create the Article resource we reference here, otherwise we’ll just see some errors. HTTP GET /articles/<article_id> - Get back a single article via it’s id attribute. It has a few basic fields - an Id, a Created value (which we’ll store as a date), and a Title and Content string. c.Bind(&json) // This will infer what binder to use depending on the content-type header. These “views” functions handle the CREATE and READ attributes we want for our API. I’ll let you browse through the code leisurely , it should be pretty simple to understand. These just create new articles or get them from the database. $ http POST localhost:8000/articles title="A simple API in Go" content="This is my content"
"title": "A simple API in Go"
And there you have it: a simple HTTP API in Go, in just over 100 lines of code. We’re missing a few fundamentals, like HATEOAS here, but it should be enough to get you started. Have any questions? Get in touch with me on twitter. For further reading, checkout this blog post, which goes into more detail and uses things like JSON API.